Named after the New Orleans bartender who first used rye whiskey in the Sazerac Cocktail, this uncut and unfiltered Straight Rye Whiskey is bottled directly from the barrel, just as it was over a century ago. 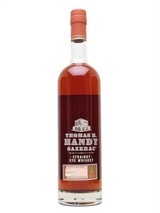 Full of rich flavors, this authentic American rye whiskey is a symbol of the timeless history of New Orleans and the legacy of Thomas H. Handy. Powerful, lush, and boldly spicy. Flavors of toffee, fig cake, and candied fruit, followed by mint, cinnamon and clove. 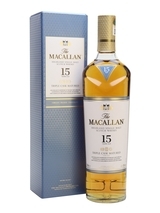 The finish ultimately reveals subtle notes of allspice, coconut and nutmeg. Long and warm.